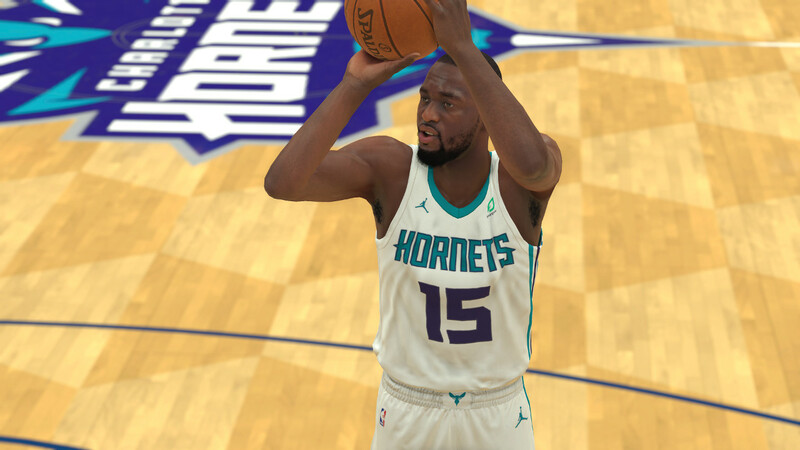 2K Sports has released the first roster update reflecting player performance for NBA 2K19 just over two weeks into the season. Early standouts like Kemba Walker, Zach LaVine, Nikola Jokic, Damian Lillard, and Stephen Curry has been rewarded for their hot starts. On the other end of things the likes of Kyrie Irving, Karl-Anthony Towns, and Draymond Green have been dropped. Notables the rise in the update are Steph Curry (+1 to 96), Damian Lillard (+2 to 92), Nikola Jokic (+2 to 91), Jimmy Butler (+1 to 90), DeMar DeRozan (+1 to 90), Kemba Walker (+3 to 89), Rudy Gobert (+2 to 89), Kyle Lowry (+2 to 87), Blake Griffin (+1 to 87), Khris Middleton (+2 to 86), Zach LaVine (+4 to 84), Luka Doncic (+2 to 81), Deandre Ayton (+2 to 81), Caris LeVert (+4 to 80), JaVale McGee (+2 to 79), and Trae Young (+2 to 79). Among those heading down are Kyrie Irving (-2 to 91), Karl-Anthony Towns (-2 to 89), Draymond Green (-1 to 86), Gordon Hayward (-2 to 86), Hassan Whiteside (-1 to 84), Jrue Holiday (-1 to 84), Jaylen Brown (-2 to 82), Carmelo Anthony (-1 to 78), and Jeremy Lin (-3 to 75).